For over 10 years TetonCam has been a labor of love, and we are delighted to share these beautiful views with the world. If you like TetonCam and want to see it continue, we hope you'll consider donating below. Your support helps us maintain and improve the site. Every little bit helps! Thank you to everyone who has donated so far! Welcome to our back yard: beautiful Teton Valley! 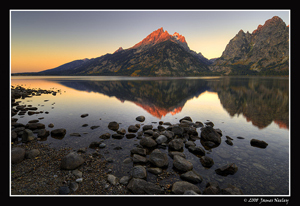 We are located on the west side of the Teton Mountains and just North of Driggs, Idaho. The picture is updated every 5 minutes during daylight hours. Going Skiing? Check out the weather before you hit the powder at Grand Targhee, which is located just to the left of the live picture, or Teton Village (Jackson Hole) on the east side of the Tetons just to the right of the image. Check out some of the local resorts. Cloudy? It's just our natural snow machine, making more of that beautiful white stuff. Enjoy some clear shots in our gallery. Enjoy TetonCam? You can support TetonCam by making a donation today.